Energy-saving bulbs, also known as compact fluorescent lamps (CFLs) produce light more efficiently than their old incandescent counterparts. 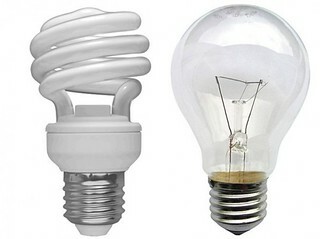 CFLs have done away with glowing filaments and instead contain a mixture of argon and mercury vapour. A small electronic circuit called a ballast produces a rapidly oscillating current passing through the gas. The excited vapour molecules give off ultraviolet light that is converted into visible light by the coating on the inside of the bulb. Like a conventional lamp, a CFL’s brightness depends on how much power it uses. Manufacturers vary properties like the volume and mix of the gas inside to increase or decrease consumption. For a given light output, CFLs use about a fifth as much power as their incandescent ancestors. As such, the lifetime cost of a CFL is so much lower. 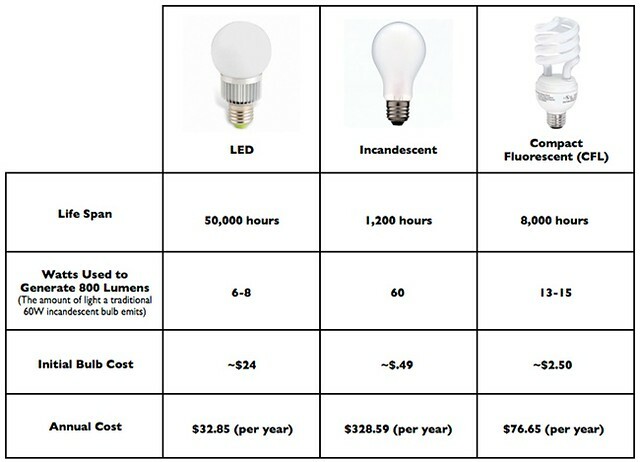 The following table shows the comparison between LED, incandescent and CFLs. The figures are a year old and performance and cost may have since improved. Nice post. It a good think if people started using LED lights and CLF instead of using the incandescent. This will beneficial for the electricity board and user because it will save lot of electricity. Energy-saving bulbs are also known as induction lights and LED light. They produce light more efficiently than any other old traditional lighting source. Induction lighting uses a different type of fluorescent bulb. Induction lights utilize a magnetic field generator to excite the phosphorus coating on the inside of a glass tube. This type of lighting technology provides several financial and environmental advantages over traditional fluorescent bulbs.